If you have a small or medium-size business, then you may consider using finance or accounting software to efficiently manage your own venture. 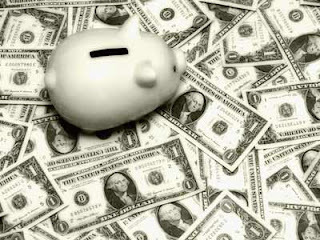 You can choose from a wide variety of finance programs. --Some of them are really expensive, while others will cost you nothing. 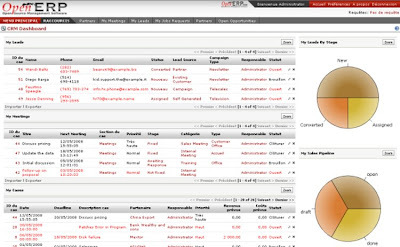 OpenERP is claimed to be a complete ERP and CRM software. It has separate client and server components. Among the features are management accounting, financial accounting, inventory management, sales and purchase management, tasks automation, Human Resource Management, marketing campaigns, help desk, and point of sale. Open ERP is known to be very complete and extremely modular, with 350 available modules. It is based on a strong MVC architecture, with a distributed server, flexible workflows, an object database, a dynamic GUI, an XML-RPC interface, and customizable reports. 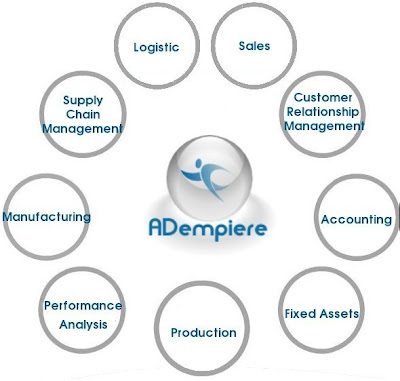 Compiere is an ERP and CRM business solution for the Small and Medium-sized Enterprise in distribution, retail, service and manufacturing. Compiere is distributed by Compiere, Inc. and through the Compiere Partner Network, a collection of trained and authorized business partners. The application and source code is provided on the basis of the GNU General Public License version 2. A commercial license, documentation and support contracts are also available for a fee. 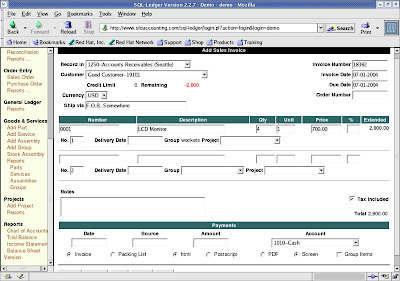 SQL-Ledger is a double entry accounting/ERP system. 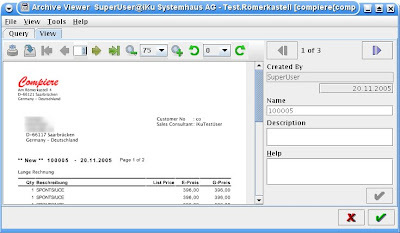 Accounting data is stored in a SQL database server, for the display any text or GUI browser can be used. The entire system is linked through a chart of accounts. Each item in inventory is linked to income, expense, inventory and tax accounts. When items are sold and purchased, the accounts are automatically updated. Invoices, Packing Lists, Income Statement, Balance Sheet, Sales, Work and Purchase Orders, Statements, Receipts and Checks are generated from templates and can be changed to suit your needs. If you know of other free and open-source finance/accounting software, you may share them with us via comment. You forgot KMyMoney - my favorite accounting software. Homebank is a fairly nice application for accounts management. Ok, I really appreciate the growth of open source financial software that has been emerging on the market over the last several decades. However, the bottom line is that the majority of small businesses use Quickbooks, which as you know does not work on Linux. I think that it would be of great benefit for the open source community to add some compatibility with Quickbooks to all this great open source software. I think the potential of open source software in small-medium businesses is enormous. But I also think that the lack of a direct replacement of Quickbooks is hurting the adaptability of OSS by businesses. I own a small business and am 99% Windows free. The remaining 1% accounts for the times when I have to run Windows on a virtual machine just to do my accounting. Although not specific to linux, there are several other choices neglected here. NolaPro, Clarity Accounting and Bionic Books offer some nice features. Perhaps the best free accounting package is PostBooks by xTuple. Commercial versions and paid support also available. NolaPro is a good web based choice. NolaPro also has inexpensive commercial support. Dont forget Money Manager EX. It's simple, lightweight and available in a portable version from PortableApps.com. I've been using Turbocash (turbocash.net) which runs seamlessly under Wine (winehq.org). Turbocash is a very intuitive yet powerful package. It is opensourced and it is a bit of a compromise to run it under Wine on Linux, but its worth it. We (my business and several others in our open source cluster) have been using LedgerSMB (http://ledgersmb.org) - a fork of Sql-Ledger - since 2002. It's web based (i.e. totally cross platform), PostgreSQL back-end, not beautiful but fully functional, with many more features than some of the biggest budget (and most expensive) proprietary offerings. The Amberdms Billing System is an open source accounting program with timekeeping, invoicing and service billing. Runs well on Linux, but you can also get a commercial subscription if you don't want to run your own server. but is there any software that can work for a finance company. 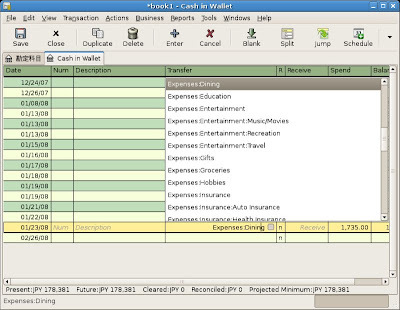 managing interest calculation, installment receipts, due installments list. It will be great help if anyone can point out such software. you can even comment about that software here and i will get it. its not too feature rich though, but its easy to use.